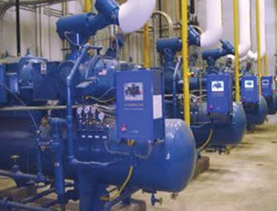 Most of today's cold storage plants have freezing facilities which commonly freeze the product at -40C to -55 C which require industrial refrigeration system composed of screw compressors. We are using world's best Compressor for industrial refrigeration, "VILTER". Vilter is the name to rely on for dependable, high-performance refrigeration. 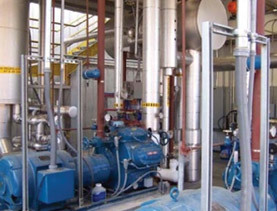 Vilter products include a complete line of compressors, condensers, heat exchangers and related equipment to solve any refrigeration challenge. Vilter is a name that stands for quality. From initial design and engineering to techniques and materials used for product assembly, Vilter's exacting standards of craftsmanship combine tradition and technology.